Many SMB owners will go to great lengths to research the merchant service fees associated with accepting credit card payments, which is a good thing, and then fail to consider if their business itself needs a credit card. It's quite common for smaller businesses to rely on the owner's consumer credit card and then go through convoluted reimbursements that leave the accountant banging his head against the wall. 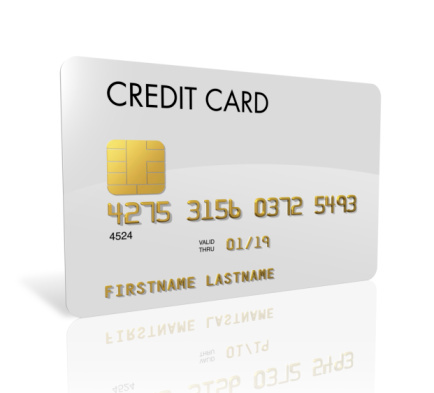 What are the reasons why your business needs a credit card of its own? Well, first, just as you may have been surprised at some of the things you learned during your research on merchant service fees, you may be startled to find out you don't even have to have a business to get an SMB credit card. The application process is the same, and except for having the business name on the front of the card, most people can't tell a business card from a consumer card. So why bother? Because when a SMB card is in good standing the company doesn't usually report it to the consumer credit bureaus like Equifax, Experian, and TransUnion. If you use your consumer credit card to "float" various business expenses, those charges become part of your credit score. If the same expenses are put on a SMB card, however, there's a layer between your credit standing and that of your business, not to mention greatly simplified book keeping. It's also likely that you'll get a higher limit on a SMB card, while a consumer limit rarely goes above $35,000. Since there's no policy about usage, a business owner can use a company card for a personal purchase. That's an issue of internal bookkeeping with which the credit card company doesn't concern itself. There are, of course, some factors associated with SMB cards that could be considered "cons." You will have to agree to some degree of personal liability for the debt, and collection activity of any sort (including legal proceedings) can be focused on you. In that scenario, the activity on the business card does have the potential for affecting your personal credit score. Also, the CARD Act of 2009 granting a 21-day grace period and requiring notices like the 45-day advance warning of new fees apply only to consumer cards. You do have to be diligent about managing the account, which hopefully you are anyway. In the end, the best argument for getting a SMB card may simply be that it's always best not to co-mingle your personal and business expenses, which a business card will help you to avoid.